I'm a teaching assistant for "Distributed system concepts and programming" and we have a project to create a simple publisher/subscriber using RTI Connext DDS. Now, few students have the problem to use "code generator" in RTI launcher and got the error indicating "rtiddsgen: Command not found", although they set the path and environmentariables correctly. 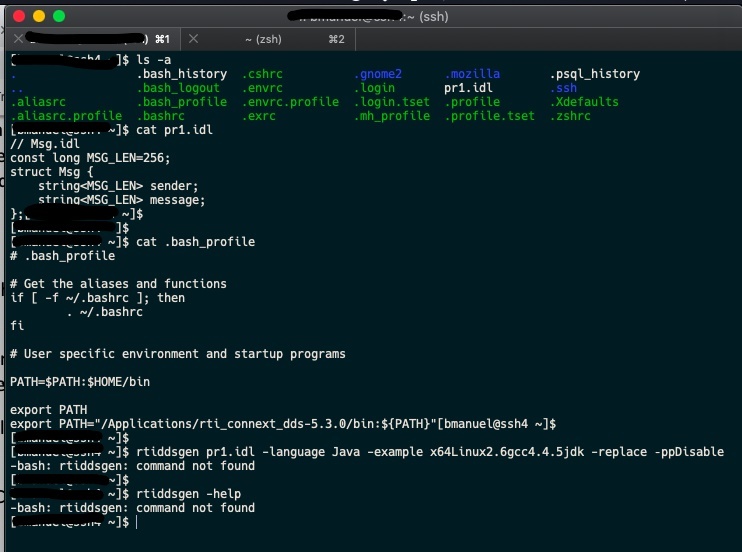 I attached screenshots of the bash and SSH terminal. Have you set the NDDSHOME environmental variable? It looks to me like the bug could be in your .bash_profile. 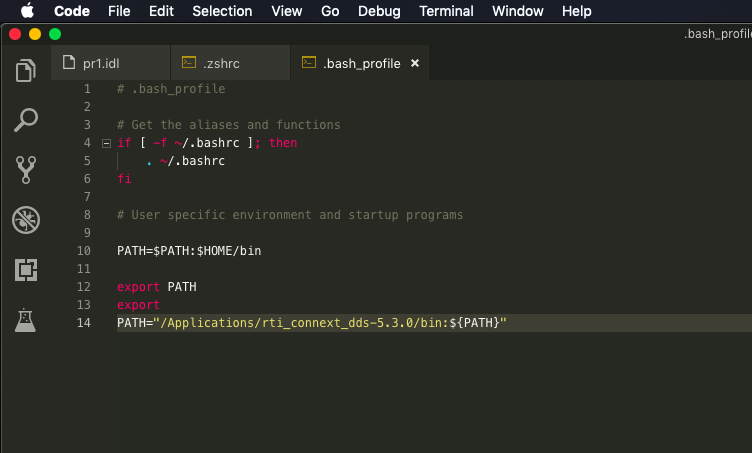 Note that for changes you make to your bash_profile to take effect you either need to exit and re-login to the shell, or source the profile from within the current shell (source ~/.bash_profile).